Happy 20th birthday, Diablo. Our clicking fingers haven't been the same since you came on the scene. 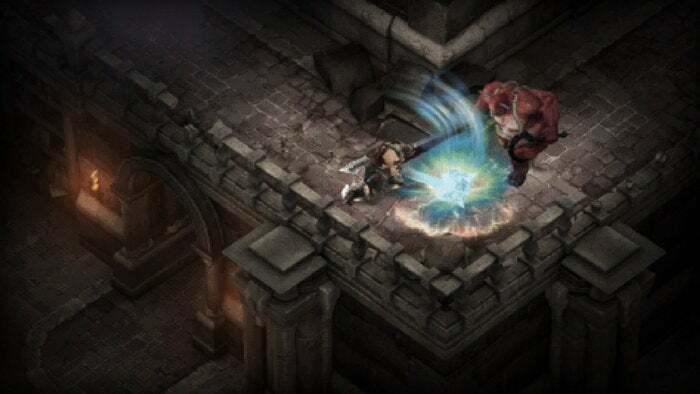 Most everyone had hoped for a Diablo IV announcement at BlizzCon 2016, but what Blizzard promised instead was still pretty cool: The original Diablo, recreated in Diablo III. And after a two month wait, it’s finally here. If that’s not already enough nostalgia, Blizzard added some spit-and-polish features to make it even more like 1996/97. Several examples include movement being locked to eight directions; a pixelated filter over the graphics; some of the character models tweaked to look like the original game; and a interface that's been redone. Blizzard’s clearly put a lot of work into this, and it’s a cool little idea. The only bizarre part? “The Darkening of Tristram” is only available during January 2017. That’s right: You have the next 20-odd days to play through it before it disappears. Apparently Blizzard intends to commemorate Diablo’s anniversary every year with “The Darkening of Tristram.” If you don’t get around to playing it this time--or if you do and want to play more--you’ll need to wait until January 2018 for your dose of nostalgia. The approach is a bit strange, but I guess Overwatch’s annual events must be doing well enough for the trend spread to other Blizzard games. In any case, this remake is available now. Better get playing if you’re interested.